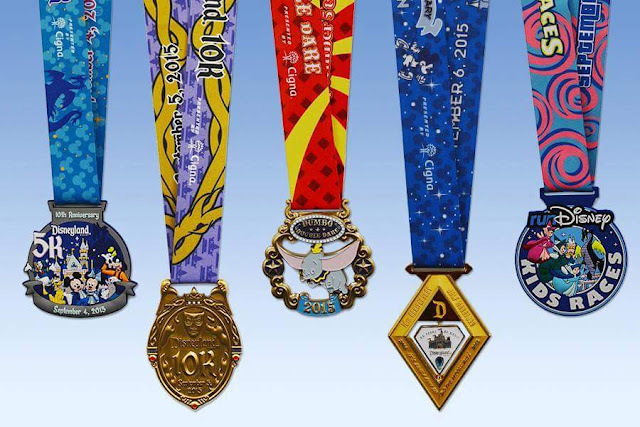 We've been waiting anxiously in anticipation for the Disneyland Half Marathon Weekend medals and today they were finally revealed! There was a lot of excitement with this being the 10th anniversary of the race and the 60th anniversary of the park. Well, with today's "big" reveal I have to admit I'm not so excited. I do really like the thought behind the half medal with the Disney quote and the diamond spinner, but my person thought is "that's it?" I was hoping for more. Dumbo is still the same, but I've come to accept that and the 10k is plain okay. I think the real winner of the bunch is the 5k, which I won't be running. Are we just getting spoiled with some extravagant medals? Are the expectations too outrageous? Maybe, but my conclusion is that these aren't motivating me to train any harder. What about you? Love them? Hate them? Or are you somewhere in between? Of course I'm still super excited to run this race weekend; it was out first runDisney event and it will always be a special race. 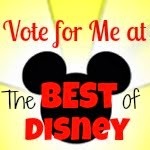 Dumbo is our legacy race, so we are in it for the long haul. Two months to go! I agree! I was very disappointed by the half medal. This is going to be my first half and really expected more or at least the nice big D from prior halves. I do like the 10K though, but mostly because it's the mirror and I LOVE the villains. To be honest, Disney medals are rarely my favorites. I feel like for a company based on art, they really don't even try. Especially with the medals only changing every five years. I considered doing the half this year just because it was an anniversary year, but I'm glad I opted out. The diamond shape is cute, but beyond that, it isn't very appealing. Good point about a "company based on art". Some people are loving them and some hating themI I guess it's all personal choice. I'm a For Two Fitness Ambassador! Throwback Thursday: 2014 Dopey Challenge!